Imagine a doctor’s office that looks like an Apple Store, bills patients like Netflix, and incorporates Silicon Valley-approved talent and artificial intelligence (AI). 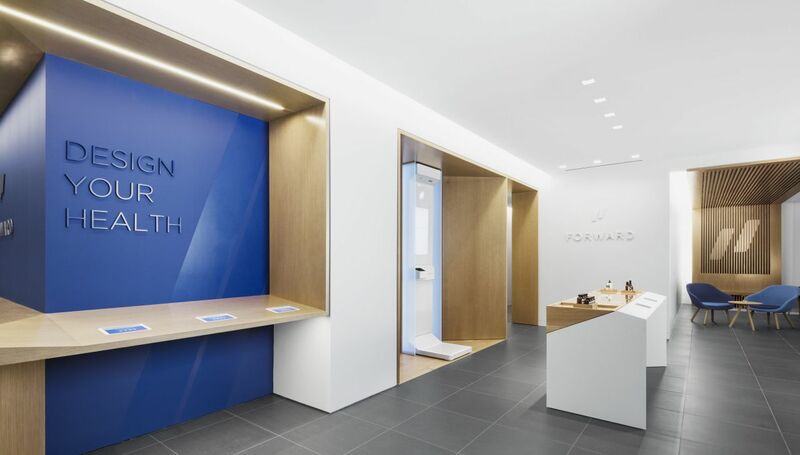 All of that’s a reality at Forward, a San Francisco-based medical startup that opened to the public on Tuesday. The concept, in its entirety, is much more complex. The 40-person startup occupies a 3,500-square-foot space in San Francisco with six examination rooms, a lab and state-of-the-art health care technology onsite. Forward charges “members,” or patients, $149 per month for unlimited appointments and email conversations with primary care physicians brought on board from Sutter Health, Stanford Hospitals and Kaiser Permanente. Continuous patient monitoring via wearable devices, as well as some supplements and medications, are also included in the flat fee. The aim of Forward is to change the primary health care model to a continuous relationship between patient and health care provider, with a strong emphasis on wellness and prevention—not to impress millennials, Aoun told Forbes. “Health care is not a repair shop but an ongoing relationship,” Aoun explained, according to USA Today. The patient on-boarding process at Forward is unique, too. First-time patients are checked in using an iPad before visiting a full-body scanner, which records and sends their health care data to Forward’s AI algorithms. New patients also undergo genetic and blood testing. So far, a few hundred people have signed up as Forward “members,” Forbes reported. Approximately 15% of these patients live in underserved communities and their memberships are either free or subsidized.